Mint is easy to grow and hard to kill — which makes it one of the best plants for a beginning gardener! You can buy a plant at the store or grow your own from cuttings. Peppermint, spearmint, chocolate mint, pineapple mint… there are so many types of mint in the world! As a refreshing glass of cold tea, as a condiment in Middle Eastern and Thai dishes, in ice cream, mint is a worldwide favorite. It's especially known for its soothing effect on the stomach. In general, it may be my favorite herb. It is such a nostalgic plant for me. All through my growing up years, I loved to visit my grandparents' home in the country near St. Joseph, Missouri. A large patch of spearmint grew behind their clothesline, and I delighted to pluck fresh leaves from the plant and munch on them as I wandered around their property. I later convinced my dad to plant spearmint and peppermint at home when I was no older than six. We planted both out near our lilac bushes. The peppermint lasted only about ten years, but my spearmint kept growing until last fall when my dad redid part of his backyard. That plant blessed my family with mint for at least 24 years! When I moved to Mexico in my late teens, I really missed my mint plants. 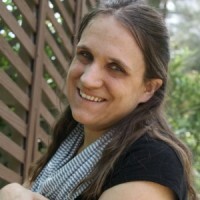 A few years ago, when I drove to my favorite farm for their bi-weekly market, I came home with spearmint and planted the cuttings in my small garden space — simply moistening the ground, trimming the ends of the mint, and placing it in the ground. Sure enough, it grew and grew and grew! One day, while thinning my mint, I decided to go into the business of selling spearmint plants to my friends. I found little pots and clipped off a few sections of my plants to propagate and sell. There are at least 20 households that now have spearmint or peppermint from my two plants. It's amazing how much a simple plant can give! 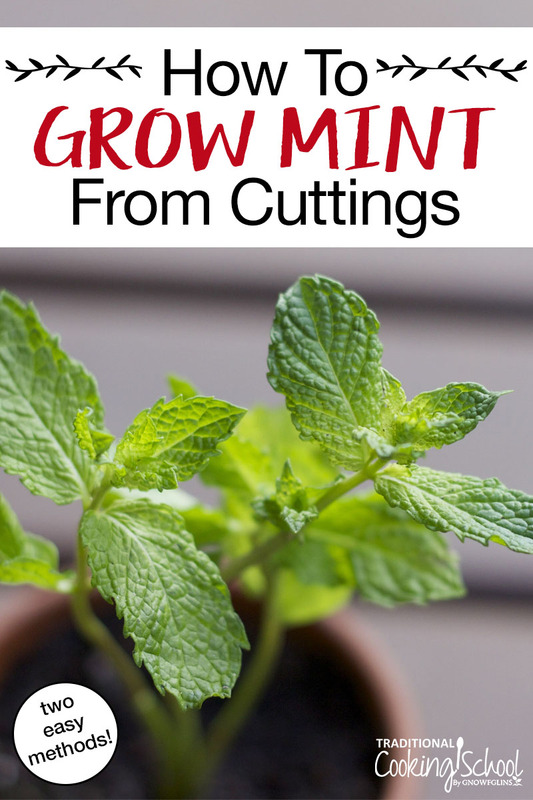 Here are two methods for growing your own mint from cuttings. My personal favorite is the first, but I have grown mint from both of these methods at different times of the year (any time except the dead of winter). Cut the stem just below a node (where a leaf grows) on the plant. Remove all but the top leaves. Stick a few cuttings into a small pot with moist soil. Keep out of direct sunlight for about a week to allow it to root and adjust to its new environment. As the mint grows, replant in a larger pot or in the ground. Cut the mint stem just below a node (where a leaf grows) on the plant. Remove all but the top leaves. Stick a few cuttings into a glass jar with about one inch of water. Keep out of direct sunlight and change the water everyday. In approximately one week, roots will begin to grow. Replant the mint in a small pot with moist soil. As the mint grows, replant in a larger pot or in the ground. Have you tried either of these methods? How did they work for you? Please feel free to share your tips! I have tried both methods and each time the mint just wilted and died. I’m so sorry Christa. I’ve only had that happen once in all the years I have regrown mint. I’m trying to think what may have gone wrong for you, but I am not sure. Grow in pots only!!! I had this growing on the side of my house and it took over. Had to poison it to get rid of it! Then I couldn’t plant anything there for one year. It’s crazy!!! Which herbal pesticide to be use for removing fungus? And which organic fertilizer to be use for best growth. Hi, my mint had a few stems full of leaves when I bought it. First, it started to grow, but then all the stems dried but one, I thought all the plant would die but this remaining stem kept growing up. I was thinking on regrowing a cutting in the same pot so it would look like it was before but when I started moving the soil to plant the cutting I noticed some bugs in it, there’s one black like a fly, there’s another one white and there’s another one like a really light blue, almost white. I don’t know if they are bad for my mint. I had a lavander before and it died and had the same white bugs, but just the white ones. I’m scared these bugs will kill my mint. Someone knows how to get rid of them? Those methods are exactly how I start my mint. I buy some at the grocery store. I remove the leaves as I either cook with them, use them in salads or make a couple of mint juleps. I snip just below a node. I do leave a couple small leaves at the top. I put the prepped cuttings in a small glass of water. After 1-2 weeks tiny white roots are forming. When they are fairly substantial looking I transplant them into my small mint garden … usually weeding, loosening the soils a bit adding a bit of garden soil for added nutrition. I could probably stop buying new mint but I just like making the cuttings and putting them into the ground. I’ve started doing the same thing with basil. That’s great Richard! How is your basil doing?